It’s now been 100 days since I took on the role of Chairman and that time has flown by. I’ve witnessed the sheer breadth of work the Environment Agency does first hand and have had the pleasure of meeting some of the very dedicated and passionate staff, whose responsibilities range from designing and building flood defences to improving the quality of rivers and bathing water to regulating industry, chasing – and bringing to book – those responsible for waste crime. The range of knowledge and expertise we put into action every day is vast. We’ve spent a busy summer repairing the damage from last year’s floods, caused during the wettest winter in 250 years. Staff have worked around the clock to deliver a huge programme of 890 flood defence projects. By the end of October, flood protection was restored to all homes affected by the winter floods. As 2014 draws to a close, now seems like a good opportunity to look forward to some of the work we are planning for the future, designed to create a better place for people and the environment. The Autumn Statement on 2 December saw the announcement of a £2.3 billion flood defence programme to be implemented over the next six years. This scale of investment is something we haven’t had before and the security it offers us – in the shape of a £370 million investment each year – is extremely valuable. It gives us the opportunity to place contracts which span that six-year term and allows us to plan more efficiently, saving around £235 million, which will be reinvested in the programme to provide even more projects and protection. We’ve set out an ambitious plan, numbering more than 1,400 schemes, which will see more than 300,000 homes protected by 2021. 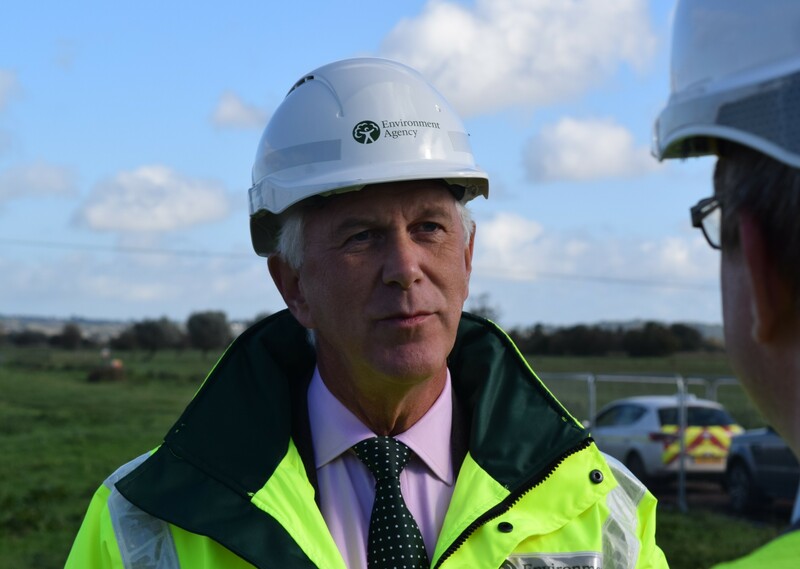 Some of the major projects we’re putting into action include investing £73 million into the Boston Barrier in Lincolnshire which will protect up to 20,000 properties; £80 million to boost flood defences for the Humber Estuary; £42 million towards protecting homes in Oxford; and more than £196 million for the Thames Estuary Programme, a scheme which will reduce flood risk to more than one million people and £200 billion worth of property in London. The money invested in these flood defences will see overall benefits to the economy of £30.3 billion, including better protection of homes, transport links, commerce and industry. The Autumn Statement allows us to plan for engineering projects that will be vital to this country's infrastructure; structures you can see and touch, which will have real benefits for people who are at risk from flooding. But there is so much more the Environment Agency is doing behind the scenes, to improve water quality and habitat, to influence planning decisions, to increase our understanding and knowledge of our environment, that is equally as important for the future. In just 100 days I feel as though I've become part of an organisation that is achieving significant benefits for England every day. That just makes me more excited about the years ahead as Chair of the Environment Agency.